Due to the proliferation of digital channels, customers have higher expectations from brands than ever before. Successful marketers must ensure every customer touchpoint delivers rich, engaging, and interactive experiences. Aprimo DAM can help. 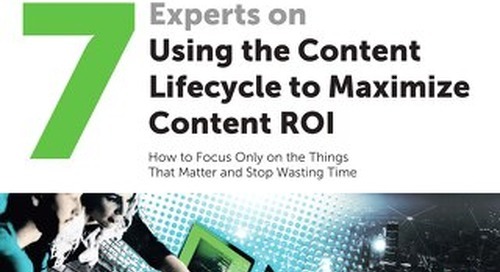 n this ebook, 7 content experts weigh in on strategies and solutions for optimizing each stage of the content lifecycle. 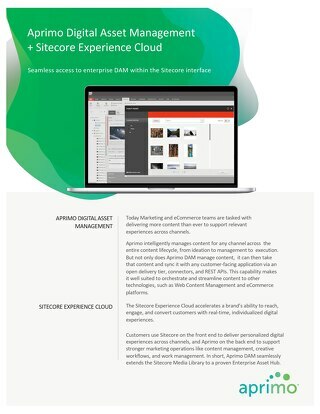 The integration of Aprimo Digital Asset Management and Sitecore Experience Cloud accelerate a brand's ability to reach, engage, and convert customers with real-time individualized digital experiences. 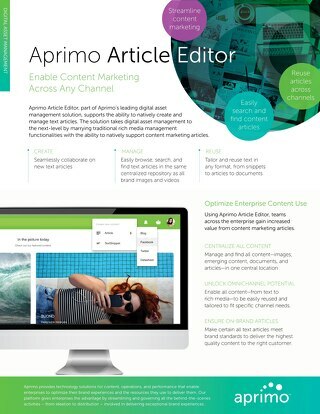 Aprimo Article Editor, part of Aprimo’s leading digital asset management solution, supports the ability to natively create and manage text articles. 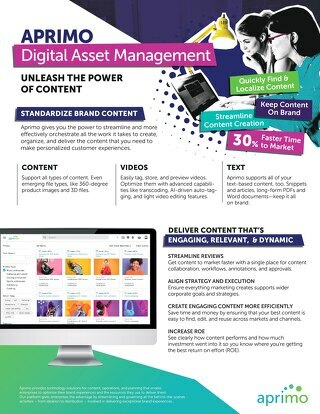 Aprimo Digital Asset Management offers a single repository for brand assets to help manage any source or format of content involved in creating exceptional customer experiences. If engineering the customer experience involves making it, reverse engineering would be to step back and figure out how it’s actually made. 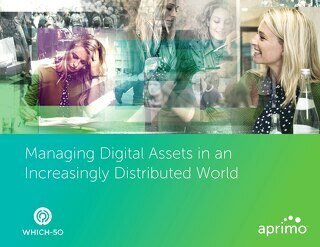 The Digital Asset Management market is growing because more Application Development and Delivery professionals see content organization and delivery as a way to address their top challenges. 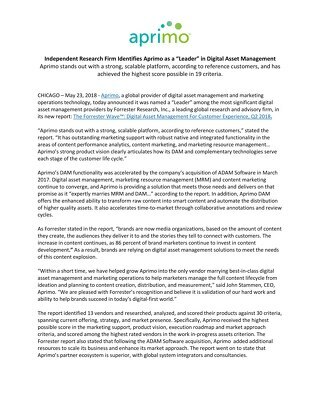 Aprimo stands out with a strong, scalable platform, according to reference customers, and has achieved the highest score possible in 19 criteria. The cloud delivers the industry’s most comprehensive enterprise-grade solution to offer customers sophistication and scalability for unprecedented user experiences . 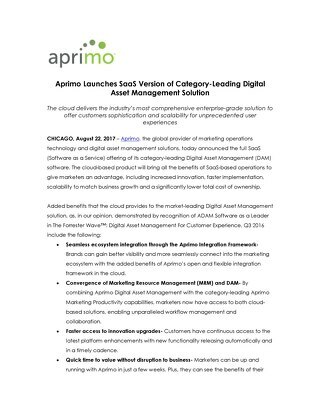 Aprimo Digital Asset Management is the answer to a complex problem in a changing environment. With the emergence of new digital technologies, marketers like yourself manage an average of 23 different channels. Learn how you can solve your marketing gaps. 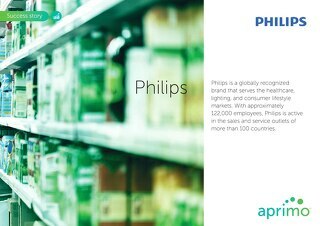 Find out how Phillips, a globally recognized brand that serves the healthcare, lighting, and consumer lifestyle markets, updated its approach to managing content with Aprimo Digital Asset Management. 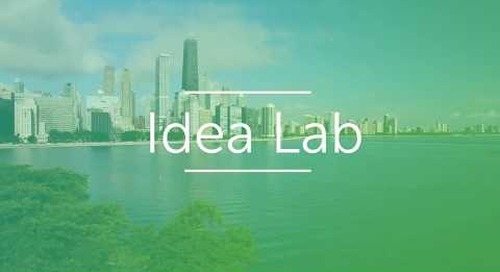 We are excited to announce Idea Lab! 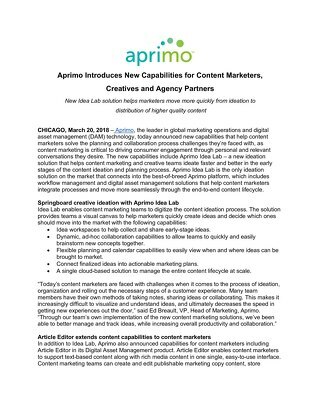 Helping marketers get from ideation to distribution of higher quality content faster. 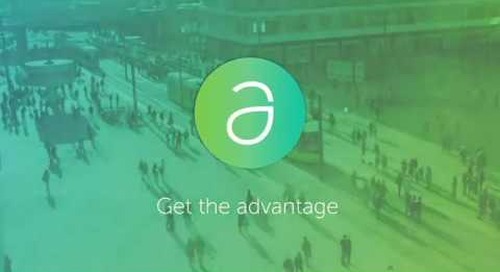 Get the Aprimo Advantage. 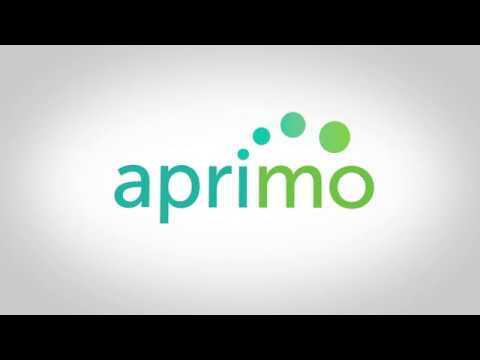 Aprimo uses Idea Lab to launch... Idea Lab! 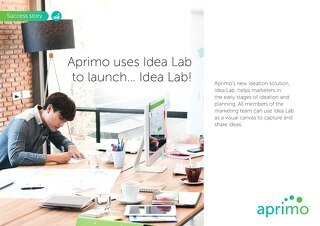 All members of the marketing team can use Idea Lab as a visual canvas to capture and share ideas. Learn more about how we were able to use Idea Lab to organize our product launch! 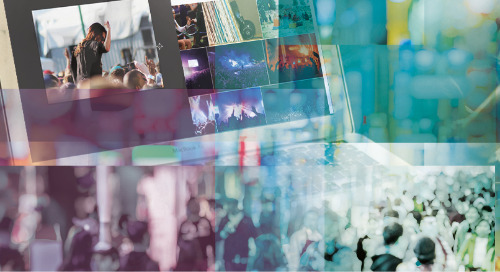 For those creative minds, and any marketers involved in the content and campaign production processes – all of our day-to-day lives just got easier. 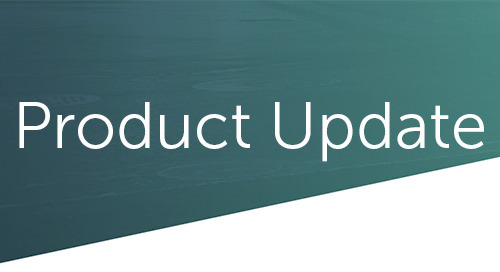 Aprimo is introducing Idea Lab and more in the latest product update! 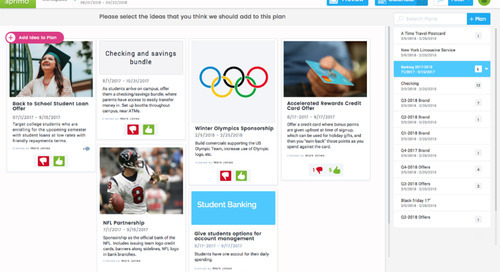 New Idea Lab solution helps marketers move more quickly from ideation to distribution of higher quality content. Content marketing will be critical to bringing these dynamic, personalized conversations to life. 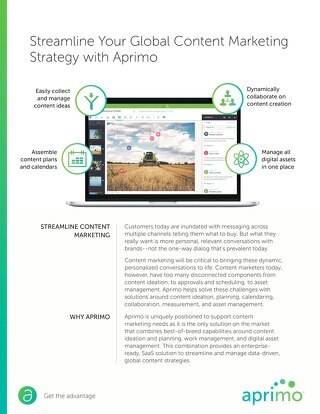 Learn how you can streamline your global content marketing strategy with Aprimo. Studies by management consultants suggest that the typical worker spends 20 percent of their working week laden down by inefficiency. Learn more about how you can manage in this crazy world.